While you generally do not have to sell your home in order to qualify for Medicaid coverage of nursing home care, it is possible the state can file a claim against your house after you die. If you get help from Medicaid to pay for the nursing home, the state must attempt to recoup from your estate whatever benefits it paid for your care. This is called “estate recovery,” and given the rules for Medicaid eligibility, the only property of substantial value that a Medicaid recipient is likely to own at death is his or her home. 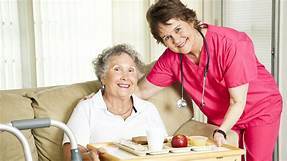 If possible, you should consult with an attorney before entering a nursing home, or as soon as possible afterwards, in order to discuss ways to protect your home. In those states that have implemented the Deficit Reduction Act of 2005, the home is not counted as an asset for Medicaid eligibility purposes if the equity is less than $552,000 (in 2016) ($828,000 in some states). In all states, you may keep your house with no equity limit if your spouse or another dependent relative lives there.